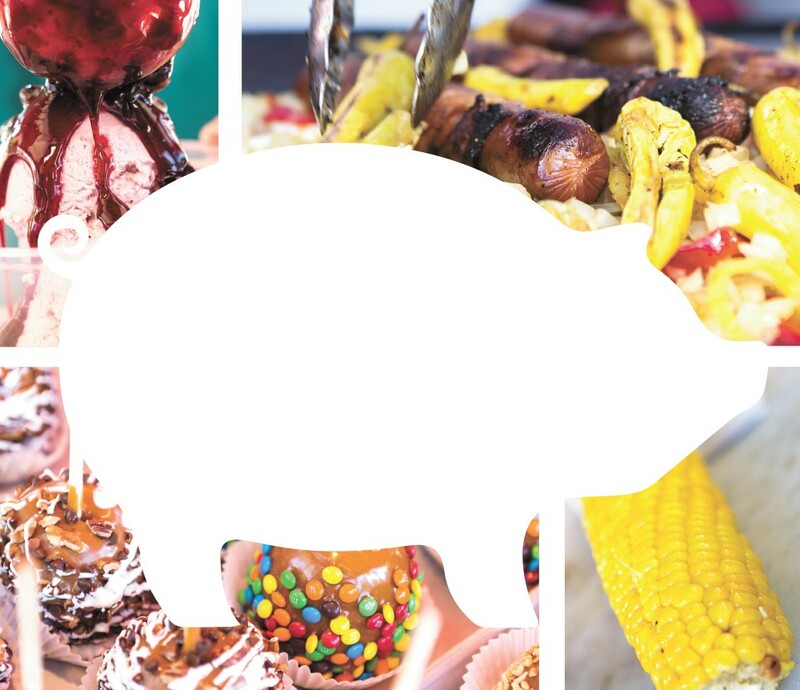 When Pig Out in the Park began in 1979, it wasn't the sort of sprawling, downtown-Spokane-dominating event that you'll see on display this week in Riverfront Park. Bill Burke, who has been putting on the event since its inception, recalls a much more reserved, compact gathering. "We were under two big tents with 20 or so vendors," recalls Burke. "There was a lot of common smoke and common smells." Now in its 35th year as a Labor Day weekend staple, Burke says that Pig Out in the Park will welcome its estimated 3-millionth customer this year. The event is known to draw tens of thousands of visitors to the park each year for live music (see this week's music section for some highlights of the schedule), kids' activities and, of course, food. Lots of it. This year's nearly 40 vendors are set to serve approximately 225 different items, ranging from the sort of deep-fried goodies you reserve for a once-a-year gut bomb (including a burger made with doughnuts as buns), as well as ethnic dishes you might not easily find elsewhere. Burke says that over the years, Pig Out's food offerings have curated themselves, and the eclectic nature of the cuisine has depended on what vendors want to participate. On occasion, though, he has looked around to see what might make for a nice Pig Out addition. While Burke says he has stuck with what works over the years — a free-entry event with free music and a whole lot of inexpensive food in a family-friendly environment — there have been some changes. The obvious additions over the past decade are the expanded size of the venue and additional music stages, but last year Pig Out took on a new look by adding $3 samples to the program. While these small dishes were only offered on certain days last year, Pig Out will now feature them throughout the event, and they'll be available at every booth. "Over the years one of the No. 1 requests people have made is, 'Can we get a sample?' I think we figured out a way to do it, and that's added a lot to the week," says Burke. Pig Out in the Park isn't an easy feat, Burke says. This year's event required $297,000, much of which is paid for through sponsorships from local businesses, just to get off the ground. And then there's all the other challenges — like when 30,000 people choked the streets to see Shaggy perform at the height of his popularity. Then there's the weather. "We've had snow, we've had hail, we've had evacuations — everything you can think of," says Burke. "But we're hardy people and we're going to go, rain or shine." Burke says he never tires of the event, even three-and-a-half decades in. The smells, the energy and the frenetic crowds of festivalgoers remind him of childhood trips to Atlantic City, where his aunt owned a portion of the boardwalk.